See also : What’s so sacred about relational anyway? The opinions of relational theoreticians C. J. Date and Hugh Darwen about SQL are well known but they have not previously commented on the NoSQL phenomenon and so their interview in the latest issue of the NoCOUG Journal—the official publication of the Northern California Oracle Users group—makes for interesting reading. In my opinion, their comments are right on the mark even though Date admits that he knows almost nothing about NoSQL products. To paraphrase, Amazon’s goals were extreme performance, extreme scalability, and extreme availability and it concluded that the only way to achieve its ends was to discard the relational model. Amazon started off on the right track. Its first innovation was to break up the traditional monolithic enterprise-wide database service into simpler component services such as the best seller list service, the shopping cart service, the customer preferences service, the sales rank service, and the product catalog service. This avoids a single point of failure. As an example, the shopping cart service should not be affected if the checkout service is having hiccups. There’s no conflict with the relational model there, even if the shopping cart data is not in the same database as the product catalog and occasional inconsistencies result. Occasionally, an item that is present in a shopping cart may go out of stock. Occasionally, an item that is present in a shopping cart may be repriced. The problems can be resolved when the customer decides to checkout if not earlier. As an Amazon customer, I occasionally leave items in my shopping cart but don’t complete a purchase. When I resume shopping, I sometimes get a notification that an item in my shopping chart is no longer in stock or has been repriced. In any case, current relational implementations do not allow referential integrity constraints to span databases. See, for example, http://docs.oracle.com/cd/E11882_01/server.112/e25494/ds_appdev003.htm. Focusing next on extreme scalability, Amazon saw that the solution was “sharding” or horizontal partitioning of a hierarchical schema amongst shared-nothing database servers. The simple hierarchical schemas that resulted from compartmentation were very shardable. No conflict with the relational model there. In other words, the inventor of relational theory did not see a conflict between his relational model and the “eventual consistency” that is one of the hallmarks of the NoSQL products of today. However, Amazon imagined a conflict because it quite understandably conflated the relational model with the ACID guarantees of database management systems. However, ACID has nothing to do with the relational model per se (though relational theory does come in very handy in defining consistency constraints); pre-relational database management systems such as IMS provided ACID guarantees and so did post-relational object-oriented database management systems. The tradeoff between consistency and performance is as important in the wired world of today as it was in Codd’s world. We cannot cast stones at Dynamo for the infraction of not guaranteeing the synchronization of replicated data, because violations of the consistency requirement are commonplace in the relational camp. The replication technique used by Dynamo is similar to the well-known technique of “multimaster replication.” Application developers are warned about the negative impact of integrity constraints. And, most importantly, no DBMS that aspires to the relational moniker currently implements the SQL-92 “CREATE ASSERTION” feature that is necessary in order to provide the consistency guarantee. For a detailed analysis of this anomaly, refer to Toon Koppelaars’s article “CREATE ASSERTION: The Impossible Dream” in the August 2013 issue of the NoCOUG Journal. Have I mentioned that Dr. Codd invented relational theory? In fact, the key-value approach used by Dynamo and those that came after it is exactly equivalent to “zero-th” normal form in relational terminology. In his 1970 paper, Codd says: “Nonatomic values can be discussed within the relational framework. Thus, some domains may have relations as elements. These relations may, in turn, be defined on nonsimple domains, and so on. For example, one of the domains on which the relation employee is defined might be salary history. An element of the salary history domain is a binary relation defined on the domain date and the domain salary. The salary history domain is the set of all such binary relations. At any instant of time there are as many instances of the salary history relation in the data bank as there are employees. In contrast, there is only one instance of the employee relation.” In relational terminology, a relation with non-simple domains is said to be in “zero-th” normal form or unnormalized. Codd suggested that unnormalized relations should be normalized for ease of use. Here is the unnormalized employee relation from Codd’s paper. The above unnormalized relation can be decomposed into four normalized relations as follows. However, this is not to suggest that these normalized relations must necessarily be mapped to individual buckets of physical storage. Codd differentiated between the stored set, the named set, and the expressible set. In the above example, we have five relations but, if we preferred it, the unnormalized employee relation could be the only member of the stored set. Alternatively, if we preferred it, all five relations could be part of the stored set; that is, we could legitimately store redundant representations of the data. However, the common belief blessed by current practice is that the normalized relations should be the only members of the stored set. Even if the stored set contains only normalized relations, they need not map to different buckets of physical storage. Oracle is unique amongst RDBMS vendors in providing a convenient construct called the “table cluster” which is suitable for hierarchical schemas. In Codd’s example, employee# would be the cluster key, and rows corresponding to the same cluster key from all four tables could be stored in the same physical block on disk. If the cluster was a “hash cluster,” no indexes would be required to retrieve records corresponding to the same cluster key from all four tables. The conclusion is that Amazon had an opportunity to kick the relational model up a notch but did not rise to the occasion. Amazon could have eaten its cake—extreme performance, extreme scalability, and extreme availability for important use cases such as shopping carts—and had it too—the relational model with all its wonderful declarative power. 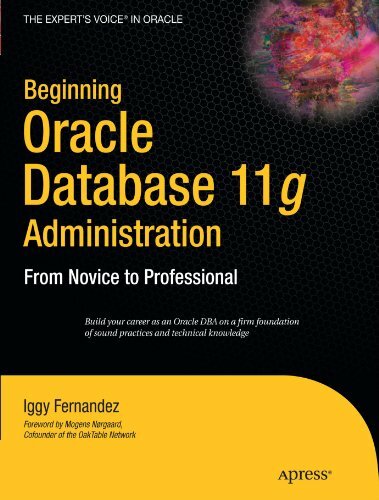 As Hugh Darwen said in the NoCOUG Journal interview: “Developers tend to be more concerned with convenience in database definition and updating than with the ease of deriving useful and reliable information from the database. … Those who disparage relational are almost invariably very far from being properly informed and almost invariably equate ‘relational’ with [current implementations].” I’ll leave you with that thought. 5. I’ve been unable to find the statement in the Release 1.0 archives at http://www.sbw.org/release1.0/ so I don’t really know the true source or author of the statement. However, the statement is popularly attributed to Esther Dyson and claimed to have been published in the Release 1.0 newsletter. I found a claim that the statement is found in the September 1988 issue but that didn’t pan out. 6. Chris Date is a strong proponent of “relation-valued attributes” (RVAs) and argues that relations with RVAs are as “normal” as those without. See “What First Normal Form Really Means” in Date on Database: Writings 2000-2006 (Apress, 2006). Here’s a demonstration of using Oracle table clusters to store records from four tables in the same block and retrieving all the components of the “employee cart” without using indexes. First we create four normalized tables and prove that all the records of a single employee including job history, salary history, and children are stored in a single database block so that there is never any join-penalty when assembling employee data. Then we create an object-relational view that assembles employee information into a single unnormalized structure and show how to insert into this view using an “INSTEAD OF” trigger. The following demonstration was performed using a pre-Built developer VM for Oracle VM VirtualBox. 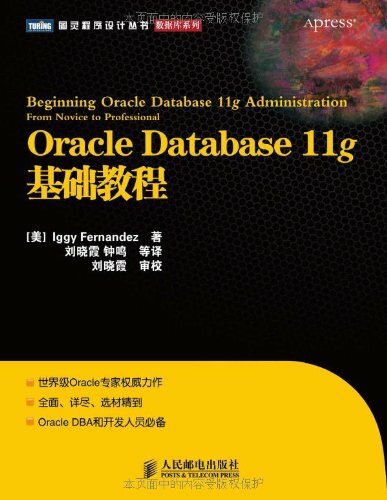 The version of Oracle Database is 11.2.0.2. First, we create a table cluster and add four tables to the cluster. Then we insert data into all four tables. We find that all the records have been stored in the same database block even though they belong to different tables. Therefore the join-penalty has been eliminated. Next we create an object-relational view that presents each employee as an object. Let’s retrieve one employee object and look at the query execution plan. No indexes are used in retrieving records from each of the four tables. The cost of the plan is just 1. This is the minimum achievable cost, indicating that there is no join-penalty. Next, let’s create an “INSTEAD OF” trigger so that we insert into the view directly; that is, use a single insert statement instead of multiple insert statements. The trigger will do all the heavy-lifting for us. Finally, let’s insert an employee object directly into the view and confirm that we can read it back. If there was a point to this meandering drivel it is lost on the reader. Apparently the writer has NoSQL envy. The point I was trying to make is that Amazon had an opportunity to kick the relational model up a notch but did not rise to the occasion. Amazon could have eaten its cake—extreme performance, extreme scalability, and extreme availability for important use cases such as shopping carts—and had it too—the relational model with all its wonderful declarative power. My keynote address at the summer conference of the Northern California Oracle Users Group on August 15 is titled “Soul-Searching for the Relational Movement: Why NoSQL and Big Data Have Momentum.” The perceived deficiencies of relational technology are actually a result of deliberate choices made by the relational movement in its early years. NoSQL and Big Data technologies would not have gained popularity if they did not excel at certain tasks that relational implementations cannot handle well. Instead of pretending that the new problems do not exist, the relational movement needs to do some serious soul-searching. The full conference agenda is at http://www.nocoug.org/rsvp.html. Some guest passes are available. Please contact me at iggy_fernandez@hotmail.com if you would like a guest pass. Hi. I do not believe the statement you made, “current relational implementations do not allow referential integrity constraints to span databases” is true. Oracle Rdb has been a distributed RDBMS for more than 20 years. While it is logically a single database it’s physical reality is multiple databases that can be distributed across any number of nodes and clusters, with data distributed geographically. A logical table, row, or column can seem to be one but actually stored across multiple places. As a RDBMS, referential integrity is maintained by the engine. Please would you provide an example of defining a referential integrity constraint that spans Oracle Rdb databases?